Terror lurks in the deep, while players dive into the ocean to face their fears as they fight for survival. 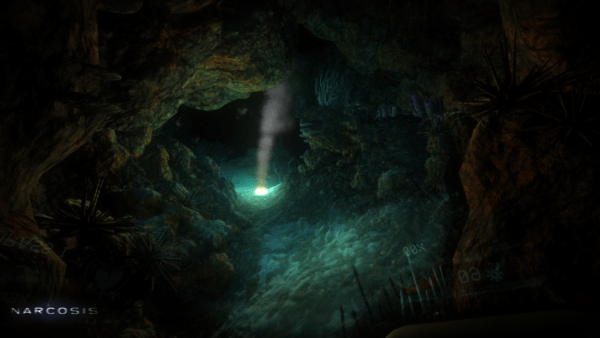 Narcosis places players into a horror-filled underwater experience that may just leave you questioning what’s real and what’s not. After the shock of an earthquake destroys an underwater research center the player works in, players set out on an underwater journey. On this path, you search for some sort of life left behind. While also trying to escape the suffocating aquatic surroundings. 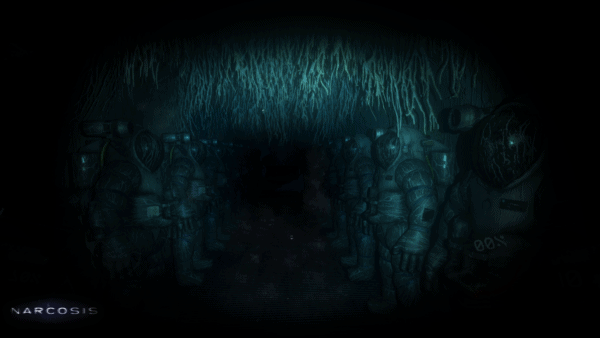 Narcosis makes players question mysterious phenomenon and ghostly figures that appear as they fall deeper and deeper into a suspended state. Many creatures lurk in these deep waters. Ranging from gigantic sea crabs to aggressive vampire squid. As the fight with marine life ensues, players are also put on the edge of their seats. 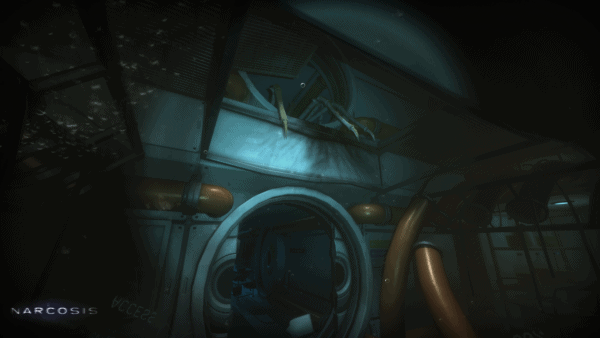 Using the actual psychological aspects of narcosis in creating the horror of its depths. Lack of oxygen provides a claustrophobic atmosphere in some areas and can really mess with you on a mental level. Movement in the game is probably one of its most prominent features. 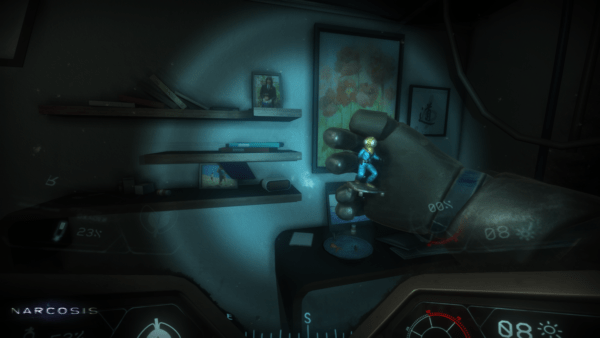 The player is put in a diving suit similarly designed to what astronauts use in space. You can walk around, but to actually close-in on large distances and reach certain areas, players use more swimming like motions. These thrusting motions really give players that sense of moving in space or water. It also mimics the feeling of movement underwater as well. Placing weight where it should be, and making the controls a bit difficult to control, but in a good way. Thus, giving an accurate representation of the living conditions they’re going through. However, there is a downside, the camera movements are very limited. 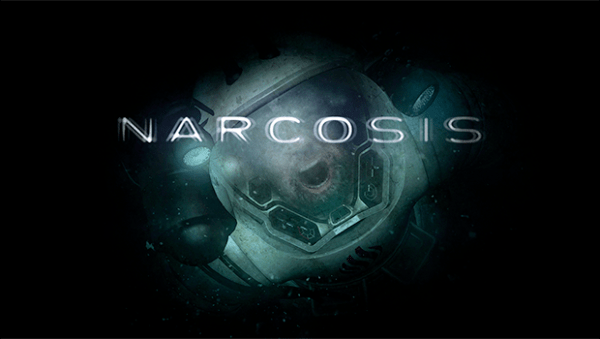 Narcosis was originally developed for Oculus and other VR headsets and so the camera movements are based on a player’s head movements. When mapped to the controller, head movements are placed onto the thumbsticks. This works in theory, but movements are very stilted. Making it hard to really get a grasp of what’s around you. While it does create suspense, the camera makes things more annoying than scary. Players have to be careful and aware of their oxygen levels. If players fail to replenish their oxygen, they risk depleting oxygen faster and causing game overs. Oxygen tends to deplete faster when encountering scary or high tense moments. Often happening when fighting against squids or viewing dead bodies. The inherent fear that spikes in these moments cause the player to use up more of their oxygen. Creating a deep sense of stress and anxiety. Thankfully, this is well balanced because there are plenty of checkpoints to replenish and stock up. Flares are also important because they are a player’s light source in Narcosis. Players are limited to ten flares at a time but don’t worry because they can be replenished at each checkpoint. Flares also serve the purpose of providing a distraction for enemies as well. Allowing players to defend themselves from sea creatures that attack them. However, the creatures mostly exist just to scare you, they won’t attack very often. Intense and surreal underwater based gameplay. Great usage of the limited oxygen system. Creates an intense experience by using practically no sound, except the ocean and the player. The camera feels slow and still act as if using the VR headset. 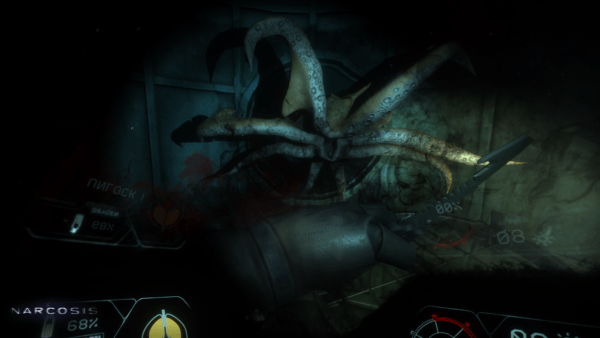 Overall Score: 8.0 Out of 10 I enjoyed Narcosis for how scary and realistic it felt. The aquatic atmosphere is heavy, scary, and claustrophobic. Comparing well with the actual feeling of being underwater. The game can get very intense and scary at times, as you try to find a way back to the surface. I highly recommend this game to anyone looking for another survival horror game to play, Especially, for those who enjoy games about the ocean.